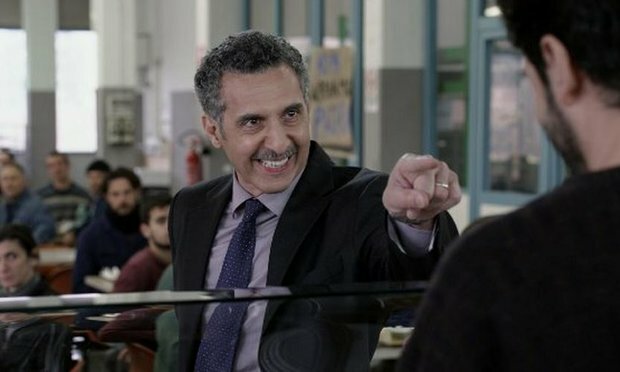 Despite some comic relief courtesy of Mr. Tuturro, Mia Madre is a more sombre and serious affair than Moretti’s previous outings The Caiman and We Have A Pope. Likeable in places the tone is inconsistent however. There’s a hint of an autobiographical flourish to Mia Madre. Buy, we can go ahead and assume, is a Moretti surrogate – a famous film director who has lost confidence and unsure if making movies is not a waste of time in the grand scheme of things. There seems to be a refrain of facing reality instead of the fake world of film. But when all reality has to offer is a mother dwindling fast it may be best to throw yourself into work. Moretti is caught in two minds of which world to embrace and it’s this drama that works itself out over the course of the 106 minutes. But this uncertainty translates to the narrative. Moretti has a toe in the world of profession and the world of home (and then there’s the added subplot of Margherita’s teenage daughter and her problems passing Latin) and while each work on their own, together they cast the film into disparity. Mia Madre asks the viewer to stand back and take the story on as a whole rather than two stories running parallel but Moretti can’t make the two gel the way he wants to, and if there is a message of creation in the midst of death then it lost. Maybe he’s too close to the material (he was editing We Have A Pope when his mother was ill). The biggest disappointment is that we never get a sense of Buy’s love for her work (or at least the love she once had) and there’s nothing beyond the mother-daughter relationship; maybe Moretti’s allowing for some narrative space so the audience can bring their own experiences of love and regret and guilt. Some of these scenes are touching though, like when Margherita begs her mother to take three steps, ergo pretending she’s not dying if just for a moment, but Ada can’t do it. When Turturro comes on screen the film dances. Mia Madre swaps its morose atmosphere for a broad comedy with the garish actor either unable to remember his lines or enunciate properly. He’s a ridiculous character – “I was fired by Stanley Kubrick!” – but he’s fun. And Buy is quietly impressive. If only Moretti decided to make two movies: one a parody of pretentious filmmakers, the other a sad story about a daughter and her dying mother.